This entry was posted on Tuesday, May 14th, 2013 at 8:19 pm	and tagged with agile, hackathon and posted in Uncategorized. You can follow any responses to this entry through the RSS 2.0 feed. That is so cool. Like an internal Startup Weekend or Bar Camp, right? How many of the ideas will lead to a new product or improvement on an existing product? Exactly, Jay. I’d say about 70% of the ideas will lead to a new or improved product. Not bad for our first attempt. I get the idea of self-organisation but there can be a risk that non-programmers on a hackathon team end up without much to do while their programmer buddies are off enjoying themselves cutting code. Did this happen at all for your teams, what prep could one do to minimise it happening? While the programmers are programming the non-programmers are busy contributing to the thought process or testing what gets built. 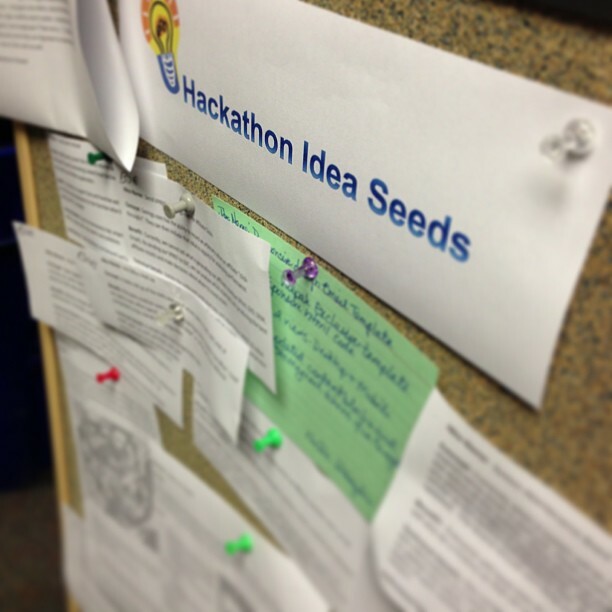 The story of our hackathon made it’s way into the Tampa Bay Business Journal!